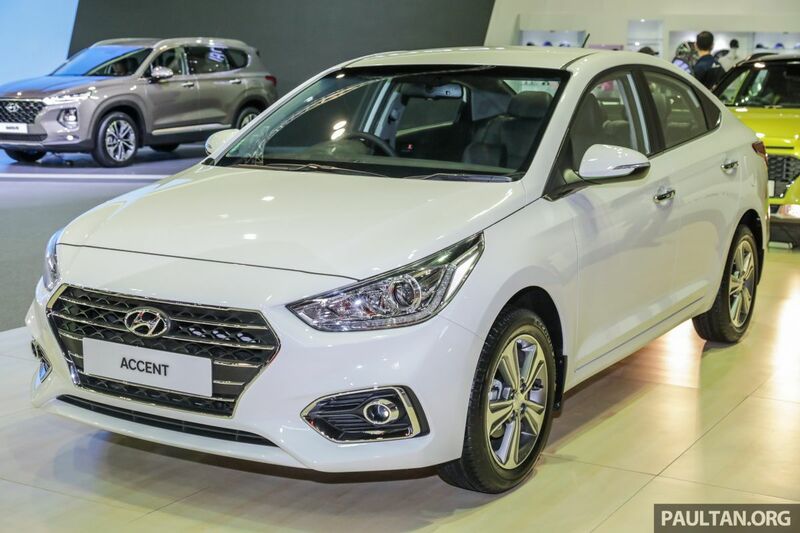 Hyundai is showcasing the India-made fifth-gen Verna in Malaysia at the 2018 Kuala Lumpur International Motor Show. Like in most international markets, it has capitalised the Accent name for the sub-compact sedan in the country. 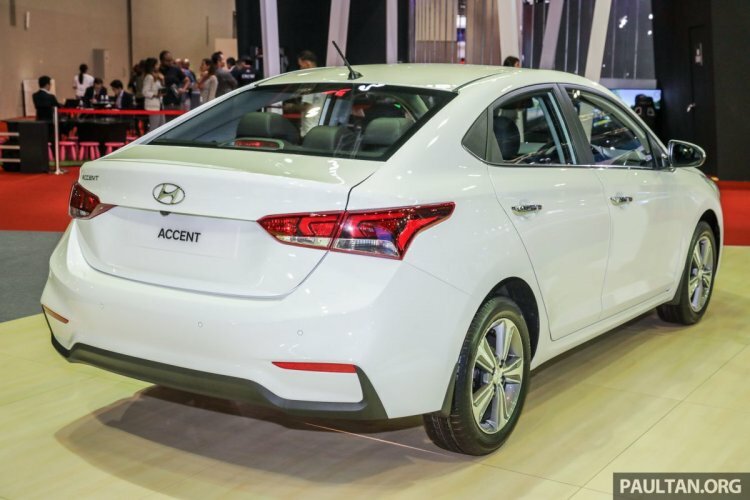 Like most international markets, the India-made Hyundai Verna is sold as the Hyundai Accent. The India-made Hyundai Verna on display in Malaysia is in a heavily loaded grade, although you won’t see a badge of the equipment line on the tailgate, as this is a preview. It is equipped with features like projector headlights with LED DRL, 16-inch diamond-cut alloy wheels, LED tail lamps, engine start-stop button, touchscreen multimedia system, automatic climate control, 3.5-inch MID and cruise control. On the safety front, the Honda City rival offers six airbags, Electronic Stability Control, Hill-start Assist Control, front and rear parking sensors and rear camera. The Hyundai Verna measures 4,385 mm in length, 1,729 mm in width and 1,450 mm in height. It has a wheelbase of 2,580 mm. Under the hood, it has the 1.4-litre Kappa MPI four-cylinder petrol engine that produces 100 PS at 6,000 rpm and 132 Nm of torque at 4,000 rpm. A 6-speed automatic gearbox sends the drive to the front wheels. The latest Hyundai Verna still isn’t on sale in Malaysia or any other ASEAN country for that matter. The preview at the ongoing motor show in Kuala Lumpur indicates that a market launch is under consideration now. The Malaysian-spec Hyundai Accent uses a 1.4-litre Kappa petrol motor, mated to a 6-speed gearbox. In India, the new Verna completed its first year of sales this year. Announcing the Anniversary Edition in September, Hyundai said that it has sold 52,482 units in India and exported 27,126 units.